Membership Open House – April 2nd! 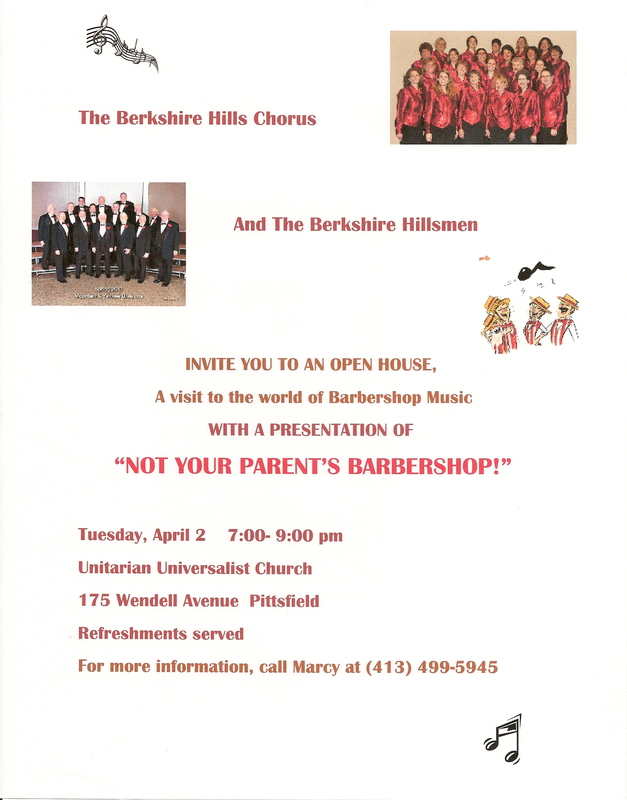 Come see what barbershop singing is all about with the Berkshire Hills Chorus and the Berkshire Hillsmen! Learn about our choruses, as well as the Sweet Adelines International and Barbershop Harmony Society Organizations, meet out members, see us perform, and enjoy some light refreshments. We look forward to seeing you on Tuesday evening, April 2nd at 7:00pm at the Unitarian Church on Wendell Ave in Pittsfield. See you there! Next Post Come Join Us for Divas & Desserts on May 19th!